The world could face cobalt shortages in several years, according to Bloomberg. Cobalt is in the lithium batteries powering our laptops, smartphones, and EVs. We need it, but cobalt mining is done mostly in the Congo where conditions on the ground can the make process troublesome. There are a number of issues: child labor, pollution, tunnel collapses, political instability and punishing work conditions. Enter Conamix, a New York-based startup focused on the development of cobalt-free battery technology. It’s only logical some researchers and inventors would try to create an alternative to cobalt, given the rare metal’s difficult attributes. “Volta is particularly excited about Conamix’s potential to simultaneously reduce cost, increase energy, and eliminate the need for cobalt in lithium batteries,” explained Volta CEO Jeff Chamberlain. On the website Pitchbook, Conamix is listed as a manufacturer of nano-structured silicon for lithium-ion batteries. The company was founded in 2014, and has three investors. 1. How did Volta hear about the work Conamix was doing? Conamix came to Volta’s attention through Volta’s network of dynamic technology innovators. Our team both knows the innovators and deeply understands the technology space – both the physics and the engineering required as well as the variables to scale and commercialize the relevant technology. 2. What do you look for when you are considering investing in a startup? Cost. Winning technologies keep costs down, using fundamentally less expensive materials, designs, and manufacturing methods. Energy density and power density. Successful technologies leverage materials and components that improve energy density and/or power density, making them key to the ubiquitous adoption of electric vehicles and renewable energy. Safety and cycle life. Winning technologies use sensors and software to optimize battery operation and detect catastrophic failures before they occur; they use materials that prevent or slow degradation to extend product life. Charging time and convenience. These technologies create solutions for significant increases in charging speed and/or cycle life extension; for example, through wireless charging technologies for electric vehicles and consumer electronics. Value Capture. Business models that enable maximum exploitation and capture of value of the electrical energy storage capability of particular technologies in specific use cases, especially in grid-connected applications. 3. Why is cobalt-free battery technology important? Cobalt is a currently a critical component for lithium-ion batteries, but it’s important to find a better way. Cobalt prices have been soaring over the past several years as global demand for these batteries has increased. The supply chain for cobalt is complex, with social, environmental and geopolitical challenges due to limited supply. 4. 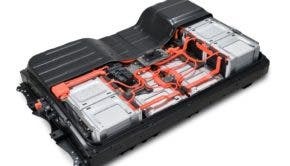 Is the vision to collaborate with battery manufacturers? Yes, the world needs lower cost materials that drop-in to existing infrastructure to keep up with the growing demand for automotive and grid energy storage.